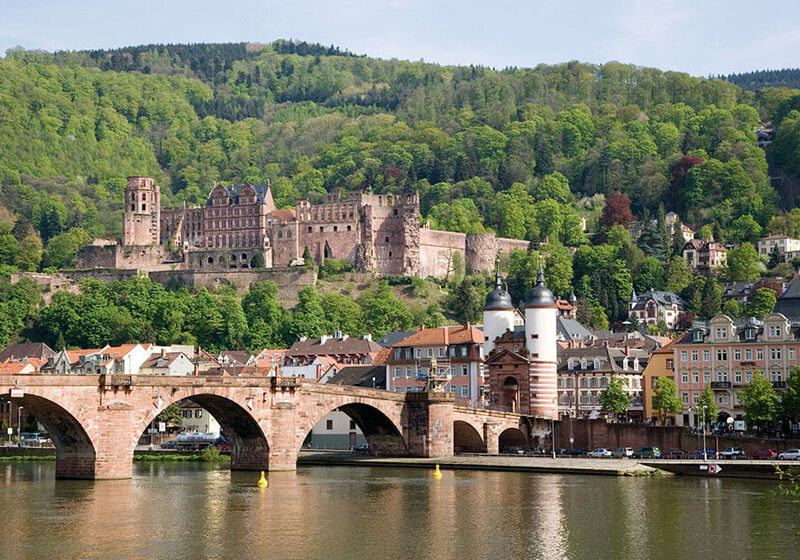 There is no better way to explore the wonders of Germany than by train. 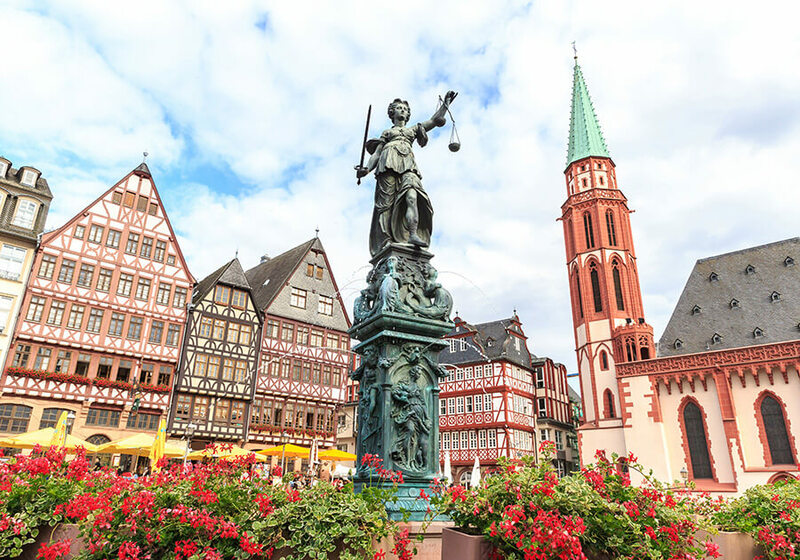 Beginning in Frankfurt, this seven-day journey will first take you to Nuremburg, famous for its medieval architecture and Christmas Markets. 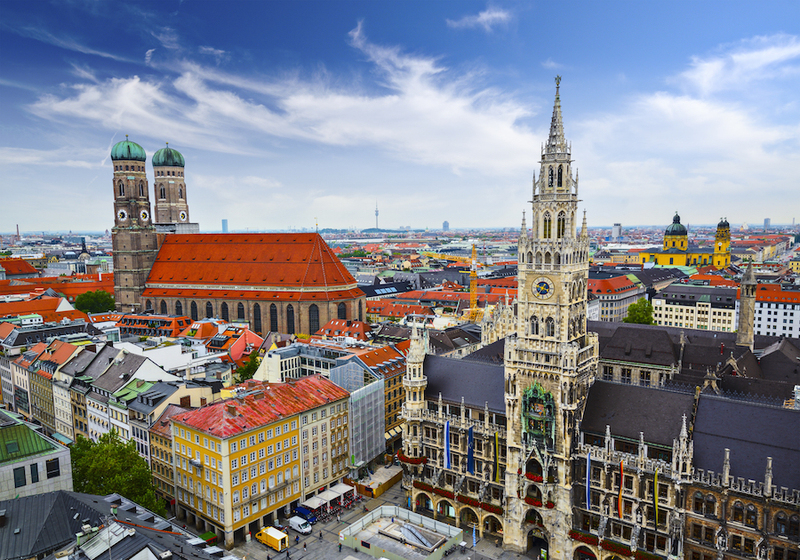 Continue to Munich and go on a tour with stops in famous sites such as the Pinacoteca, Odeon square, the National Theatre, Max Joseph Platz, Marienplatz, the City Hall, the Frauenkirche church and the Viktualienmarkt street market. After, visit Neuschwanstein Castle, one of Germany’s most beautiful castles and the inspiration for Sleeping Beauty’s castle in Disneyland. Lastly, make a stop in Stuttgart. 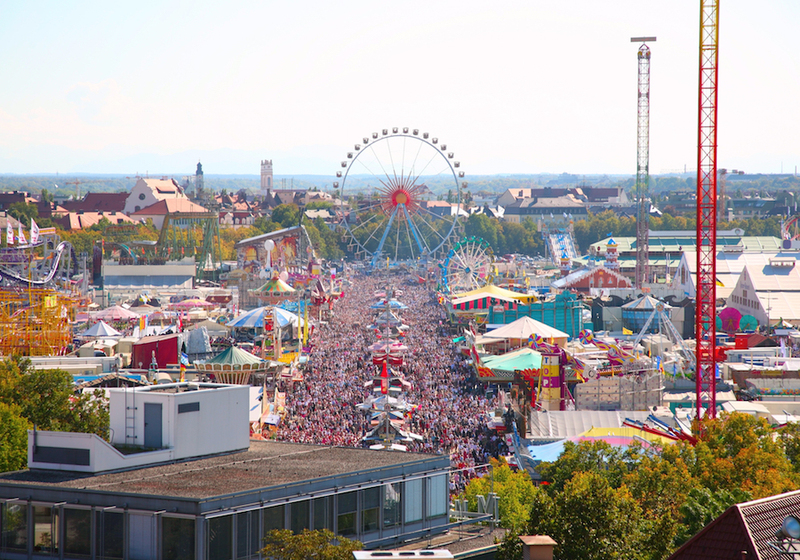 This city is one of Germany’s most important manufacturing hubs, with Mercedes-Benz and Porsche having headquarters and museums in the city. 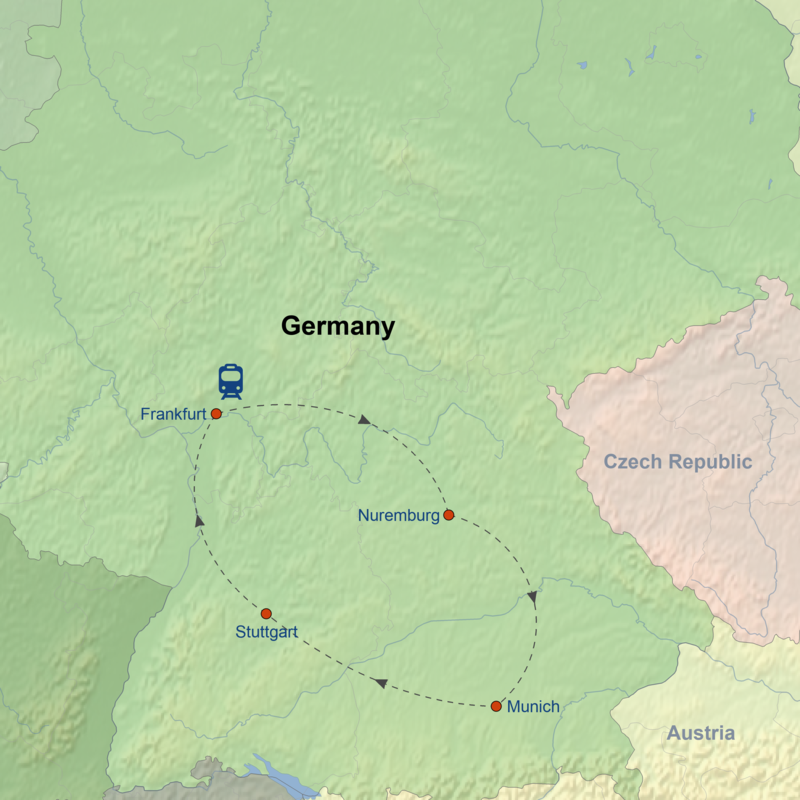 The tour ends after a final train ride from Stuttgart to Frankfurt. Prices for this tours are per person, based on a twin/double rooom sharing basis.